Paige Martin, Broker Associate at Keller Williams Realty and head of the Houston Properties Team was featured in this week’s Houston Business Journal. Houston Townhomes and Houston condos for sale have recently outpaced Houston single family homes. In addition, the Houston real estate market’s growth has equalled sales in the Bayou City before the 2008 recession. 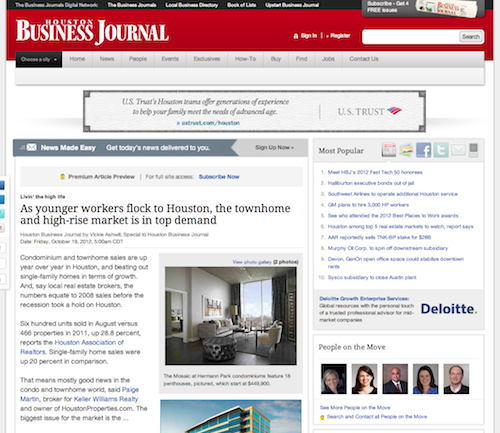 Read the article at the Houston Business Journal.